Many small and mid-size businesses find it challenging to deploy, maintain, and protect their technology. Whether you're looking to keep IT costs predictable, avoid unexpected problems, communicate more effectively or make a plan for business continuity, Wolf Consulting, LLC has a managed services solution for you. Network and Computer Support - Whether you’re looking for outsourced network management or simply need to take some pressure off your internal staff, Wolf Business IT Services are up to the task. Be Your IT Staff - Our team of experts in Pittsburgh are capable of managing your entire network as well as providing day-to-day IT support to end users. No need for an internal hire. 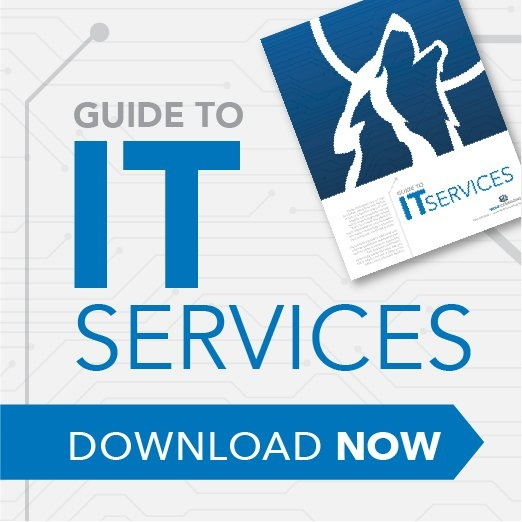 Supplement Your IT Staff - Sometimes, internal IT teams need a bit of help. We’re capable of supplementing your IT staff in the areas where support is needed. Custom Software Development - Wolf Consulting has years of experience developing software solutions for small and mid-size businesses to accomplish the unique goals of each organization. Software Licenses and Computer Hardware - Wolf Consulting clients get to take advantage of our purchasing power and vendor partnerships to get hardware and software at a great price. Powerful and reliable Business IT Services from Wolf Consulting, LLC allow you to successfully meet the continuing IT demands of your business. Solutions from Wolf Consulting, LLC are easy, quick, and economical to implement. Get Started today.